Organic Early Grey Black Tea from Choice Organic Teas features 98% fair trade certified ingredients. Notes: USDA Organic. Kosher. Certified Gluten Free. Non-GMO. 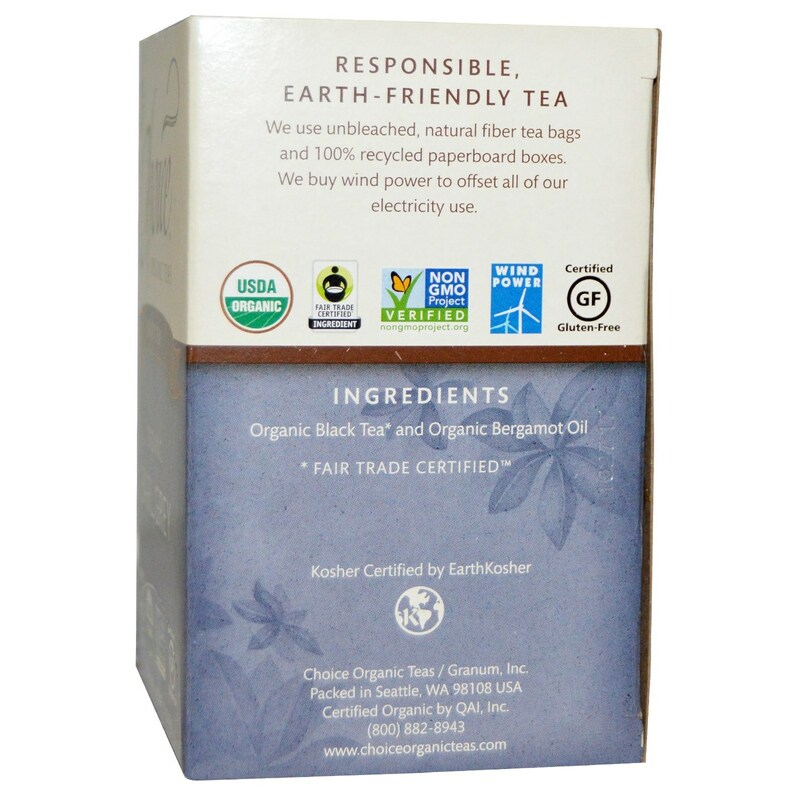 Ingredients: Organic black tea* and organic bergamot oil. * Fair Trade Certified. 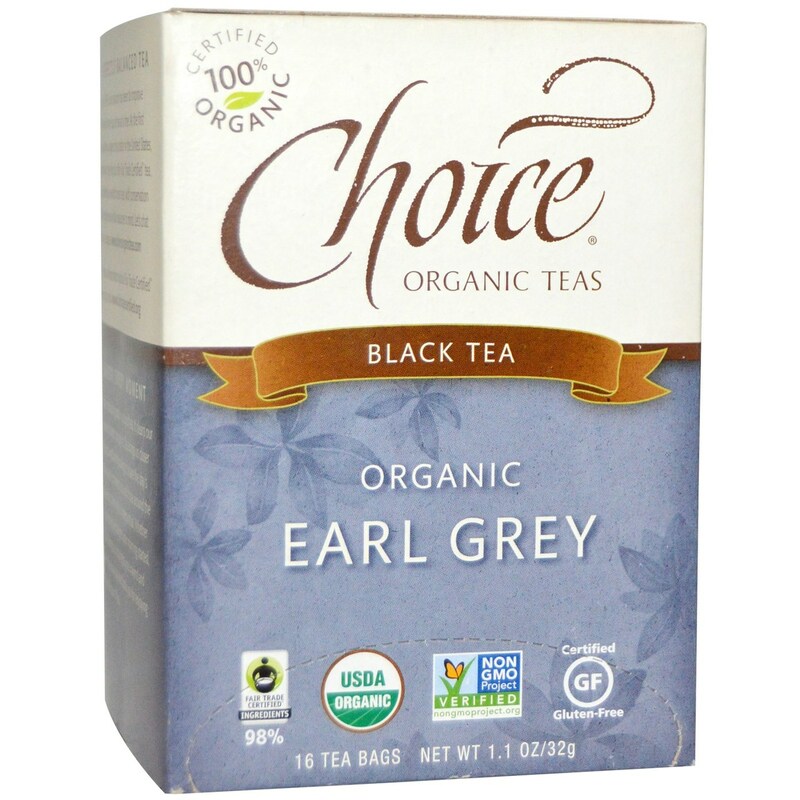 Recommended Use: Boil fresh water, steep tea bag in 8 oz water for 4-5 minutes and enjoy. To make iced tea just brew at double strength.